Any restaurant owner knows it’s important to serve great food in order to stay in business. However, a solid menu alone isn’t enough to guarantee success in an industry that is as competitive as it is fickle. 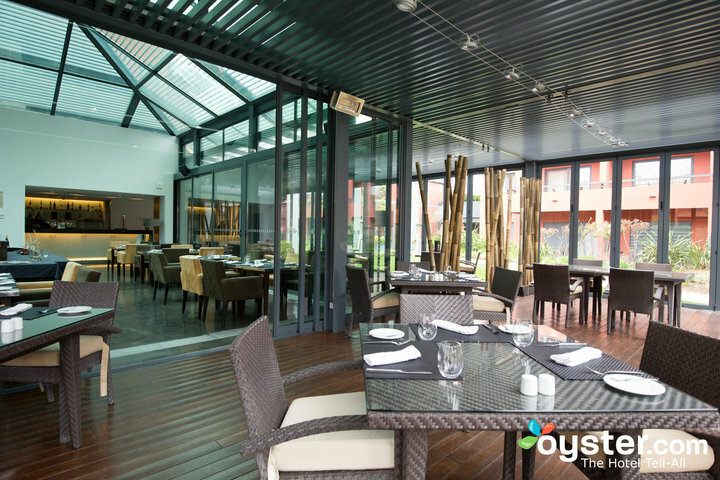 That’s why restaurateurs put so much energy into making sure the aesthetic and ambiance of their space not only aligns with their culinary concept, but also elevates the dining experience. Think about the last time you read an online review for a restaurant—the environment and ambiance of an establishment make a huge difference in how favorably we perceive the experience. Your food might be cooked to perfection, but if the restaurant is too dark or the décor is outdated, you might still leave your experience with a bad taste in your mouth. 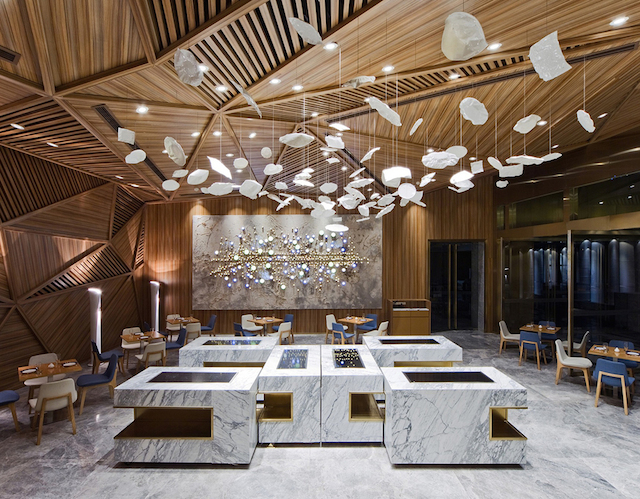 For many restaurant designs, architects and owners are choosing natural materials for their space, in order to soften the interiors and point back to the natural environment where their food itself is coming from. 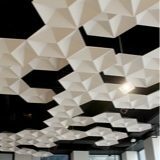 Because of recent trends toward sustainability and environmental responsibility, the demand for more eco-friendly, natural materials for a space has grown even more. There’s a wonderful variety of natural materials and products available now, because of this growing demand: everything from steel to reclaimed wood. We’ll take a look at a few of them. 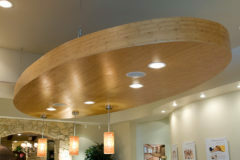 Sorghum can be a unique replacement for wood in a number of products, including furniture, wall panels, and boards. 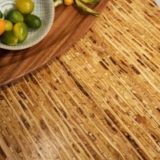 Sorghum grass is a natural resource, used by countries around the world, and the stalks left behind after harvesting can be made into any number of lightweight and durable design products. 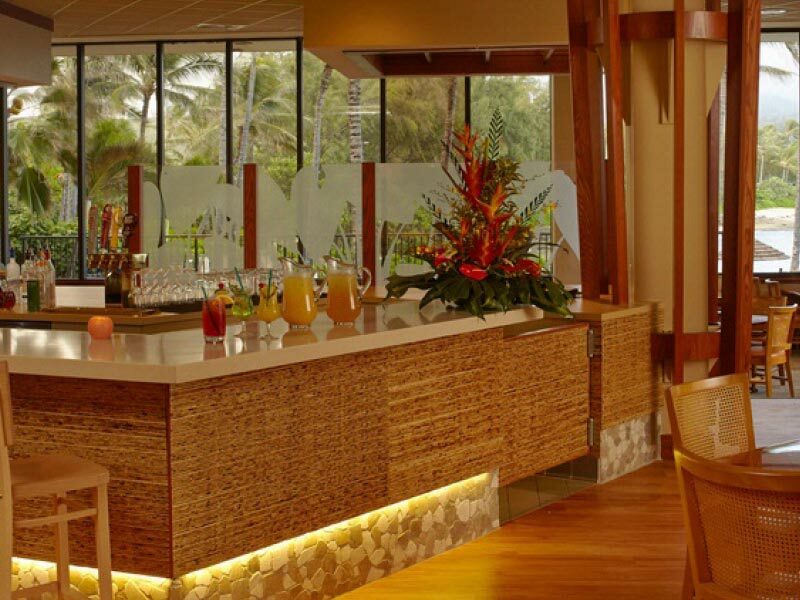 Not only do these panels add a sense of inviting warmth to your restaurant, they are sustainably manufactured and can be used in achieving a LEED certification for green construction. 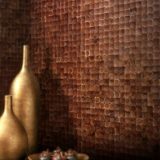 They can be applied to casework, wall treatments, or even countertops. Natural stone can be applied in any number of creative ways. 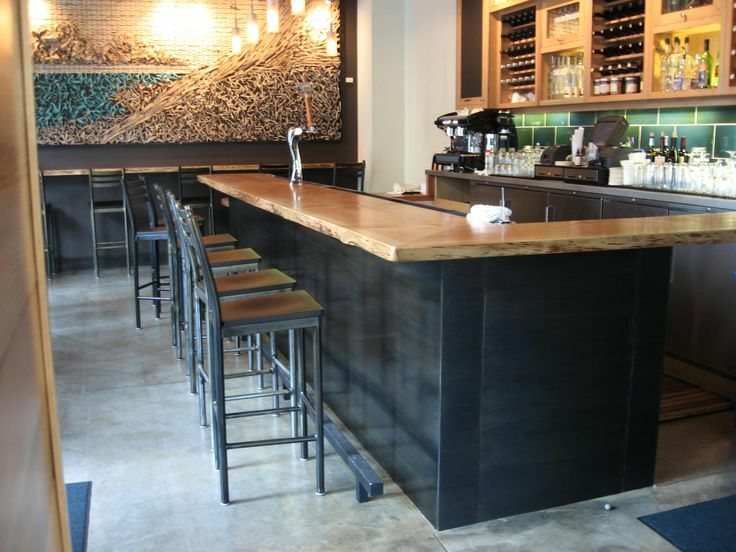 Stone is commonly used as countertops or wall treatments, but restaurants have also used marble as a complement to other natural floor materials like wood or tile. Marble slabs for walls and bathroom counters can help tie the natural feel of the interior throughout the customer experience. 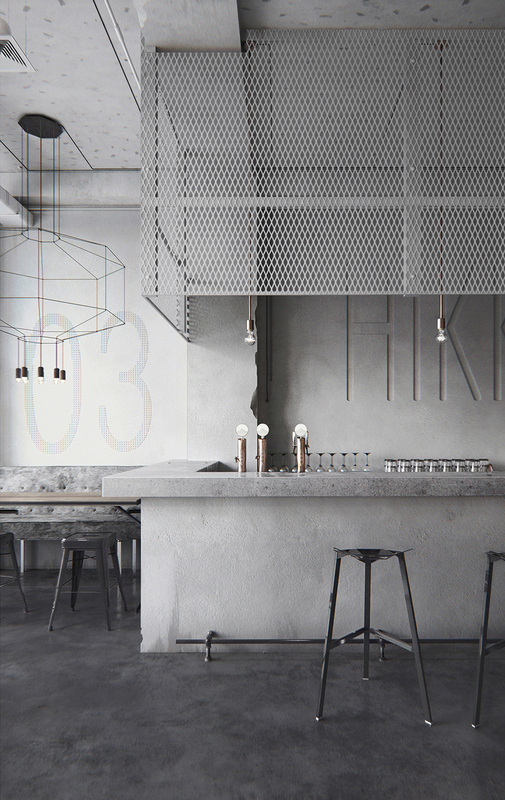 For many restaurants, metal is where it’s at. Black steel provides the perfect natural contrast to softer wood materials, and make a strong statement about the overarching concept for the space. Steel can be installed as panels for walls or tables, and also used for specific accents like light fixtures or cabinet hardware. Concrete is one of the most ubiquitous building materials on the planet. It’s primarily used as a foundation, but can also be used as an attractive, sturdy finish material. The easiest place to start is with the floor. 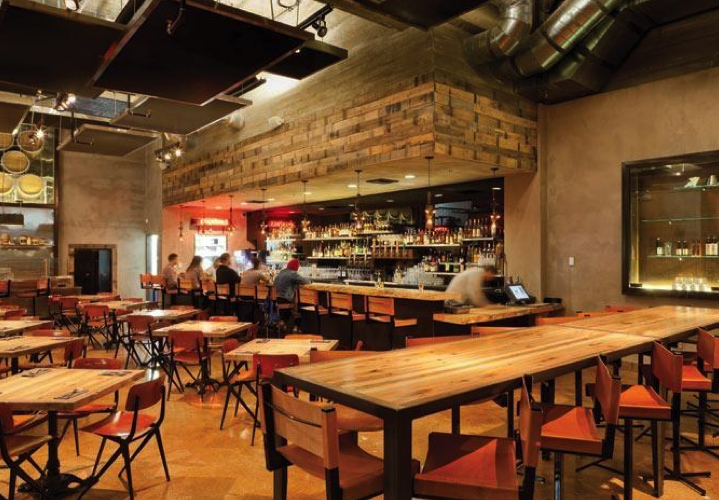 An exposed concrete slab provides a distinct natural durability, perfect for the abuse a restaurant floor takes over its lifetime. It can be formed to create the countertop for a bar or the seat of a bench. Glass can be used in ways that not only add unique aesthetic character, but create a layering transparency that plays with light and gives the illusion of expanded space. There are salvage yards all over the world that sell wood that has been reclaimed from demolished structures and lumber yard garbage heaps. Getting wood for floors, walls, or tabletops from one of these salvage distributors not only adds unique visual flair, they come with a story. Reclaimed wood is sustainable, and where it comes from is almost as interesting as what it looks like in your restaurant. People love a good story, and will come back for seconds if they feel a connection to the experience, even if it comes in the form of a creative accent wall. 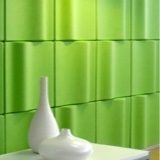 Looking for more Natural Acoustic Solutions? Check out our different natural products to find the right one for your space.